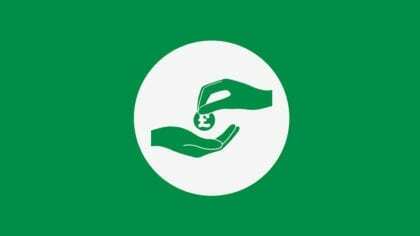 The Institute for Policy Research (IPR), based at the University of Bath, launched a research project on the economics of Basic Income (BI). The project will “examine the economics of Basic Income, including the interaction between technology, output GDP, consumer income and expenditure.” The project has been set up with the collaboration of Geoff Crocker from Basic Income Forum. The research will look at the fitness of BI as an element for the management of macroeconomic demand. Through the use of empirical economic data, the research will test the hypothesis that in highly technological economies the increase in productivity causes wages to fall (a phenomenon that together with falling employment rates is known as the great decoupling), requiring the introduction of a source of income disjoined from work: Basic Income. The research project will also compare the effectiveness of BI in combating the unemployment and poverty traps with other forms of unearned income, and consider its effectiveness in avoiding economic crisis, that is, its stabilizing effect, in comparison with consumer credit and household debt. The study will also investigate whether public sector deficit is an inescapable reality in high technology economies, and if there is potential for using debt free fiat money as a replacement for it and as a source of funding for BI, an idea already proposed by Crocker. I am reading and writing by machine translation. I think that Mr. Geoff Crocker’s proposal is not “full basic income”. His proposal seems to be “partial basic income” with a small amount. According to his calculations its amount of money is about 55 billion pounds (or 44.8 billion pounds) in 2007 in UK, about 1,000 pounds per person per year. Please refer to the following papers and articles. Mr. Geoff Crocker wrote in the comment section as follows. Please consider the Global Resource Bank economics of basic income at grb.net.